Hunting can be a great way to get in touch with nature, catch your own fresh and all-natural meat, and even bond with friends and family. 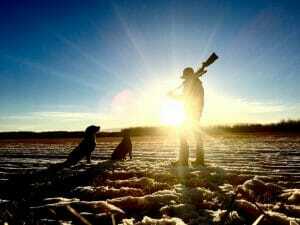 If you’re interested in hunting but you’ve never tried it, it can be intimidating if you go at it alone. Luckily, you don’t have to do this. There are plenty of tips from expert hunters that can get you started and reduce the learning curve you have to tackle. There are a lot of tips out there about the best ways to find a game like a deer and where you should go. Yet seasoned hunters warn of taking these claims as your single mantra. By putting all your chances in one space, you’re likely to lose chances to hunt the abundance of game that isn’t directly in your concentrated area. It’s an obvious tip to make sure you have something to hunt with. It’s worth noting that you’ll want to choose something that works for you. Some hunters prefer to work with a compound bow while others reach for their home defense partner when they go out hunting. The use of guns such as these is a more common choice than bows. Hunters also suggest that new hunters carefully choose the right optics. For many, this is one of the biggest investments when it comes to hunting gear. With the right optics such as binoculars or sights on rifles, you’ll be able to see much more than you can with the naked eye alone. In an activity where you need to be aware of the slightest movement of your prey, these tools can be some of the most valuable in your arsenal. If there’s one virtue that hunting requires, it’s patience. If you rush through the woods trying to run after a game, all you’re going to do is scare them off and ruin your chances. The better approach is to move slowly or even take the time to stop completely. One tip that hunters have is to use your watch as your guide. Move a little, then stand still for around 5 minutes. During this time, be vigilant and silent. This provides a buffer between the effective method of slow and steady and the tempting rushed movement through loud leaves. As for the distance you should walk between waiting, most go for around 10 or 20 yards at a sprint and then stopping. You’ll want to try to step lightly during periods of sprinting. This might seem contradictory to the usefulness of silence and patience but the point is to break up the standard human step pattern. Natural prey such as deer can recognize human patterns and will run at the sign of them. Going into a hunting trip blind isn’t impossible, but it is going to make your time much more difficult. It’s widely suggested that you scout the area that you are going to be working in. This will give you an idea of your game’s patterns and where you should focus your energy. Many hunters do this before hunting season even starts. For beginner hunters, it can be easy to get confused traveling through the woods. After all, lines of trees can seem challenging to navigate. With more than a cursory look, though, you’ll notice that there are distinct signs of where you are. Maybe there’s a large rock somewhere or a particularly old or recognizable tree. Make sure to take note of these landmarks to help you be able to gauge where you are. Some hunters like to have a hiking GPS on them just in case. Expert hunters let out a collective sigh when a hunter on TV makes a shot and walks straight up to the animal and prods it with their firearm. This is unsafe for a few reasons but the biggest one is that you don’t want to walk up to a wounded animal only to have it spring up on you. Even the best shots aren’t always as precise as they need to be and sometimes the game isn’t taken out in one fell swoop – no matter how carefully a hunter avoids this. A better idea is to toss something like a stick towards the animal and see if it reacts. If it does, you won’t want to walk up and claim victory just yet. It’s rather naive for a hunter to assume that they are the only danger in the environment. In certain areas, hunters will be careful to keep an eye out for predators such as coyotes and bobcats. For this reason, many suggest keeping a shotgun close as well as the rifle you’re using to hunt game. Hunting can seem intimidating at first, but when you use tips like these, you’ll find your footing much quicker. With these, you’ll be able to set aside apprehension and enjoy your hunting trips.